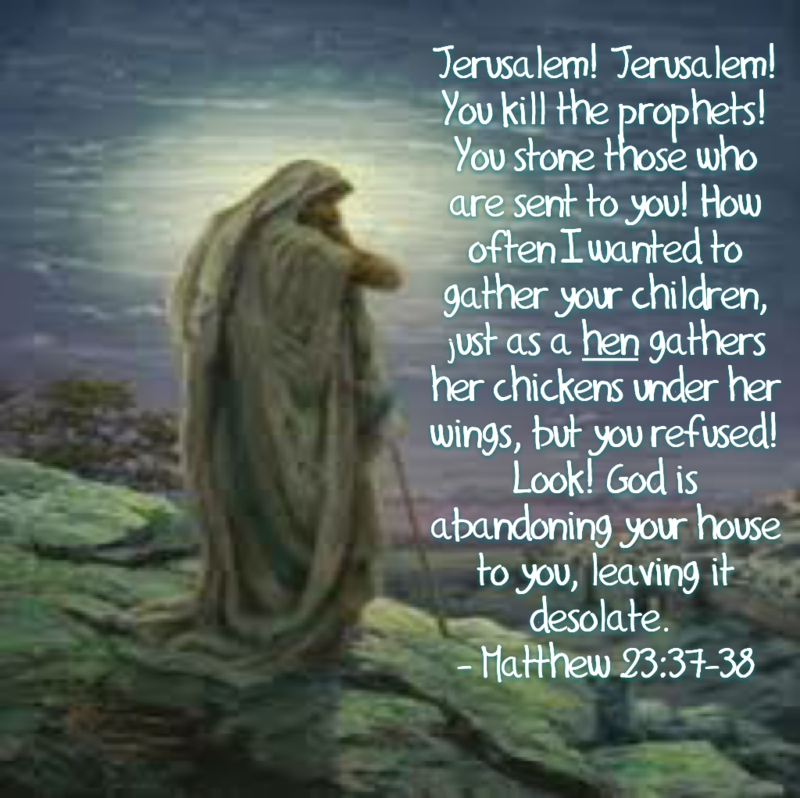 A snapshot in two times, two prophets, two children of the Father, one a prophet drawn by the heart of the Father with bitter warnings, one The Prophet, the Son of God, the One the former prophet warned and spoke of, given by the heart of the Father as the ultimate gift for the world. Both of these scriptures come within the context of woes and warnings. Both reveal the heart of the Father, that weeps for our unwillingness to listen, to obey, to see His mighty merciful and longing Fatherly heart. Firm but broken open for the refusal of His people. Too, often God is pictured as the rule giving, too demanding, too strict, lacking in understanding and patience. It was 470 year from Jeremiah to Yeshua (Jesus), it’s been roughly 2011 years since Yeshua to now. Could any of us be patient like God the Father? How many of us would wait, longing, hoping, working, loving. ..for just that amount of time 2481 years, how about a tenth of that? Now consider since the creation of the world? I think He still weeps, reaching with longing arms towards us. I relate, as a parent, as He intended for that experience to show us His own heart. Reaching for my children, lost and wandering, searching for answers different than the ones they’ve been taught. Knowing deep down God’s way is best, but mixing up their own with His attempting to do it their own way. I remember well my own searching, wandering, wayward bend. This reminder is recalled daily as I learn anew how deep that cavern goes in my flesh. As a young woman, I felt nothing but my own displeasure and disgust for my behavior. This I projected onto God the Father. I thank God everyday, that now I know He weeps for me, reaches out for me, full of love, with the strength of His compassion! Most people don’t see how full of power The Father’s compassion is! 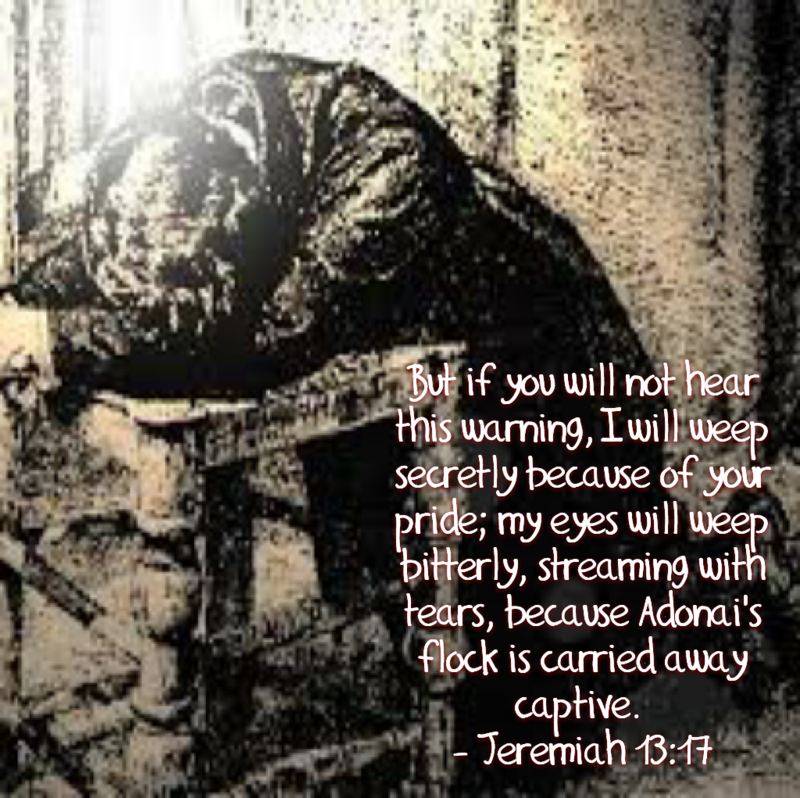 The unbending hold of His tears! Holding all things in a seeming state of suspense to us, but winding down into His awesome will like seeds of flowers in a field about to be doust with spring rain to prove what we can’t see is just there, resting in His hand that feeds all things in His timing! Alone the seeds seem small and worthless. The ground, fallow from winter sleeps, seem dark and lifeless. God the Father seems to be content with lack of growth for a time. Perhaps He is. Content because He has never made even one little thing that can not and will not grow. The rains are His tears, all around the world, the flood of His tears run and slide and wash away the things of this world that could never provide what His tears could and can. Elsewhere, the drought of His weeping until there are no more tears, turns the earth into a cleansing fire. Man sees it as a destructive invasion, God sends His tears in the form of a scould to stop the bleeding of wounds. Haven’t you ever cried so hard so long that tears ran dry? Thousands of years ago, there was a weeping prophet, drawn into and compelled by the very heart of a weeping God. Then came a weeping Savior, whose final tear as a human torn asunder, fell from His cheek with the words “It is finished“. The weeping will now one day be turned into nothing but dancing! The arms of the Loving Father are now held out, wide open, desiring that none should perish, so the weeping continues, and the longing, reaching, teaching, faithful patience that makes Him who He is! These are two reflections, of the heart of Abba Father.Remember He weeps with us, groans with us or rather our own weeping and groaning reflect Him! His patience has purpose for all of us. Those of us who acknowledge Him in all our ways, those who run from Him, and those who will be lost to Him forever. How long will I hold out for my child? As long as I have breath in my body. God’s breath created the very beginning of all things, it shall never run out, it shall never grow old and decay, it is eternal. We remember, we are not waiting on word for this or that; we wait on Him. We are not waiting for answers to prayer; we are waiting on Him! The answers are already there! We aren’t waiting on jobs, raises, houses, results, beginnings or endings; we wait on Him. We wait on Him, and He is worth waiting for! 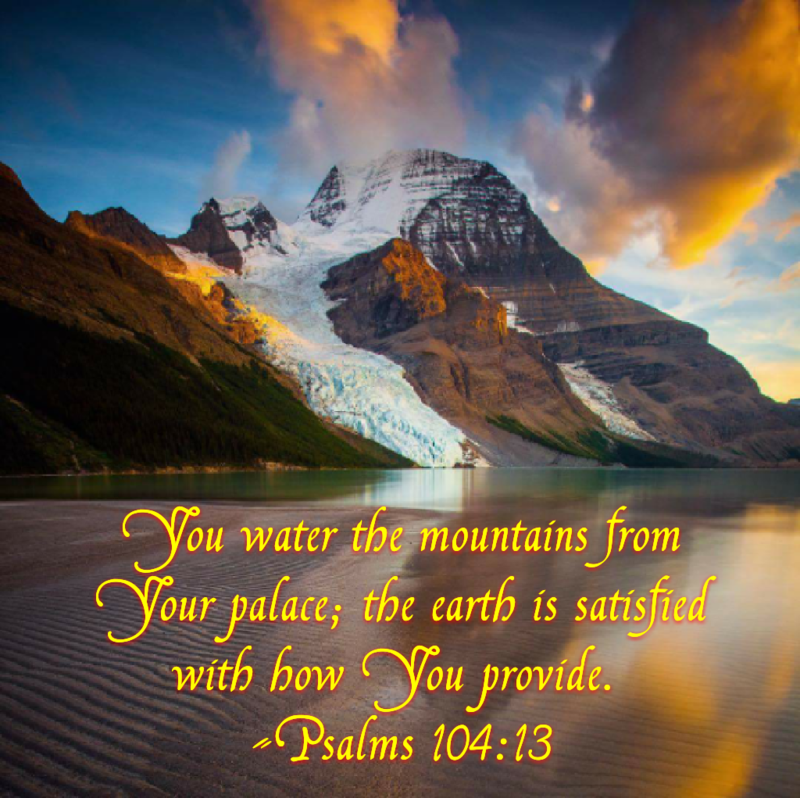 May we find that we are satisfied, as the earth we stand, sit, and rest upon is satisfied with all He provides!